I wrote this story with Alfredo Corchado and Christine Wicker. It was published on Jan. 26, 1998. 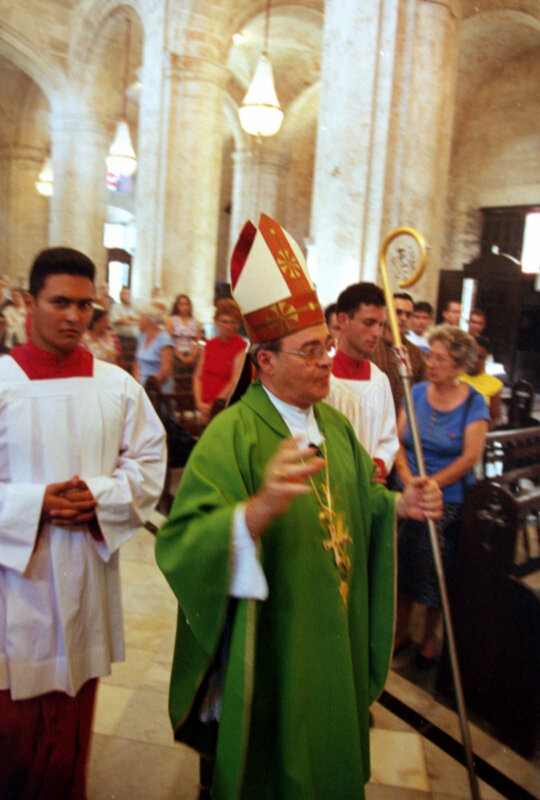 HAVANA – With Fidel Castro’s gaze upon him and cries of “liberty” filling the air, Pope John Paul II on Sunday urged Cuba’s communist leaders to allow the Roman Catholic Church to help rebuild this proud, beleaguered nation. Quoting the Bible, the pope told an impassioned crowd of 750,000 people, “The spirit of the Lord has sent me . . . to set at liberty those who are oppressed. ” The pope’s extraordinary five-day visit has triggered a wave of soul-searching across the island. Believers who gathered to hear John Paul at the huge Plaza de la Revolucion interrupted his final Mass on Sunday at least two dozen times with chants of “Freedom! ” “Pope, don’t leave us! ” and “Stay, stay, stay! ” “We have free education, free medical care and some liberties. But I’ll trade all that for the feeling I have right now in my heart,”said Maitin Sujo, a Catholic from Havana. “This is true freedom,pure love in my heart. ” Later, as night fell on the Caribbean island, Mr. Castro escorted the pope to Jose Marti International Airport. “Never before were so many opinions about asmall nation heard in such a short time by so many people all over the planet,” Mr. Castro said. “I am moved by his holiness’ endeavors to have more justice in the world. ” Before departing, the pope delivered a scathing message aimed pressuring the United States to end America’s 37-year-old ban on trade with the island. “In our day, no nation can live in isolation . . . especially when the imposed isolation strikes the population indiscriminately, making it ever more difficult for the weakest to enjoy the bare essentials of decent living – things such as food, health and education,” he said. Mr. Castro then escorted John Paul to his plane, and they exchanged words and shook hands. As the pope climbed the stairs, they waved at each other, and Mr. Castro, visibly moved, closed his eyes for a few seconds. At the Mass earlier in the day, the pope spoke of human rights andrespect. “Whenever you have maintained that human dignity is superior to every social, economic, political or other structure, you have proclaimed a moral truth which elevates man,” he said. At the same time, he said, Cubans should not sit back and rely on the government to make them free. “The attainment of freedom in responsibility is a duty which no one can shirk,” he said. Some of those in the crowd nodded in agreement. “Change is needed, but people have to go out and fight for it,” said Raul Rivero, a Havana journalist. “Change won’t happen by government decree. ” More applause and flag-waving came for John Paul when he quoted the late Cuban poet and revolutionary Jose Marti, who once said, “Every people needs to be religious. An irreligious people will die. ” Not since the 1959 revolution has anyone come to Cuba, captured the nation’s attention and taken away much of the limelight from Mr. Castro, analysts say. 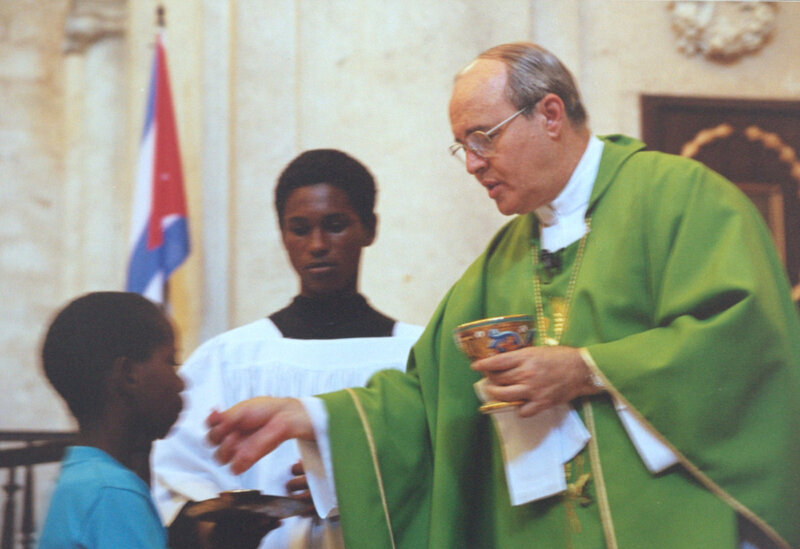 And by most accounts, the visit was a success for both the Roman Catholic Church and Cuba’s socialist regime. “I must confess I didn’t expect to feel this moved,” said an official at Cuba’s Foreign Relations Ministry. “I hope we have demonstrated to the world that Cuba is not isolated, closed off to the world or to different ideas. We’re open to anyone and are willing to negotiate with anyone, to start a dialogue with even our worst enemy to the north. ” Indeed, the future is on the minds of many Cubans. What now? many are asking. Will the pope’s extraordinary visit bring social or political change? 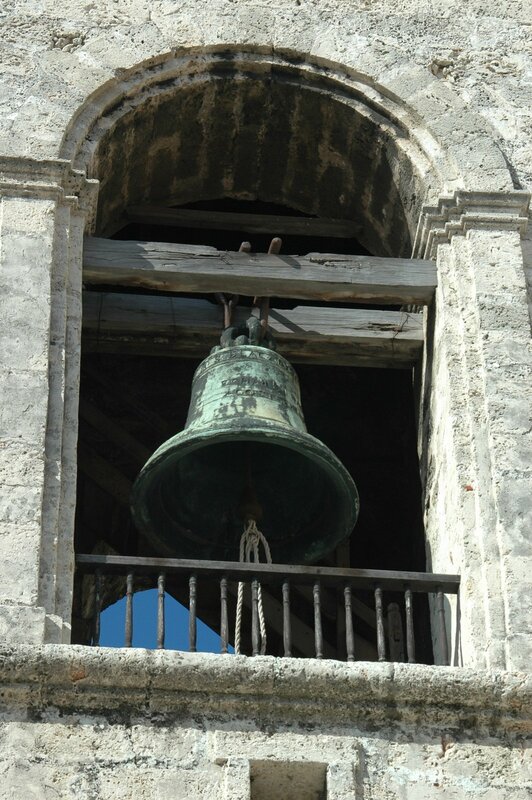 Will Cuban authorities allow greater religious liberties? And will they grant the pope’s request that political prisoners be freed? Senior government officials, such as Cuban National Assembly president Ricardo Alarcon, said they are eager for Catholics and other believers in God to take a more active role in society. Otherwise, they say they wouldn’t have invited the pope. And while they plan no immediate changes in the political system, they say they will consider the pope’s request that some political prisoners be released. Still, analysts say, no one should expect any spectacular political developments. And church-state relations will probably remain tense, they say. A sign of that emerged Saturday when Pedro Meurice, the Archbishop of Santiago de Cuba, asked the pope for help in “demystifying the false messiahs,” a veiled reference to Communist Party members. Mr. Meurice also chided Cuba’s system of government, saying the country is “once again searching for ways to overcome disparities and lack of participation. ” The remarks angered many Communist Party members, and some stomped off in disgust as the bishop spoke. One party official complained that the bishop’s statement amounted to a “lecture” on the supposed failings of Marxism and Leninism. “What does that have to do with religion? ” the official asked. “He was totally out of bounds. ” Added another party member, “The Catholics have to remember that with or without the pope, this is still a country run by Communists. Let’s not forget that. ” The uneasy relationship between Catholics and the government was evident at Sunday’s Mass. Each time the pope said the word “freedom,” a small but vocal group of Cubans let loose a rhythmic, salsa-music-style chant: “Freedom! Freedom! Freedom! ” State security agents would quickly spot the revelers, staring them down, exchanging no words. “It’s pure intimidation, reminding us that once the pope leaves we will be alone again,” said a man who identified himself as Enrique Javier Sanchez. At one point, the pope greeted Mr. Castro and a man deep in the crowd shouted, “Eliminate him! ” People around him gasped, glanced around to see who had shouted the remark and whispered to each other in shock. 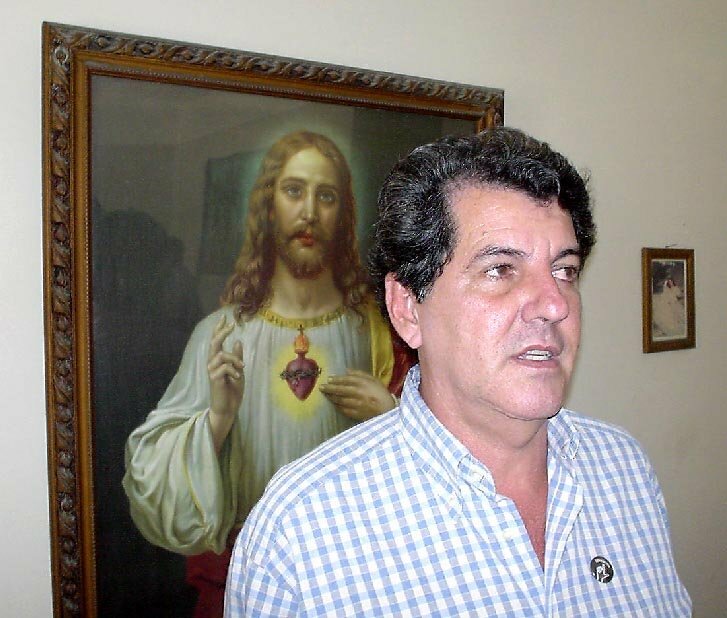 Oswaldo Paya, head of the Christian Liberation Movement, a Havana-based group that favors greater religious freedom in Cuba, said state security agents shadowed him the entire time he was at Sunday’s Mass. Despite such measures, Mr. Paya said he believes the pope’s message of reconciliation and freedom got through to many people. And perhaps, he and other Cubans say, the pope has ignited a flame of hope that even Mr. Castro won’t be able to extinguish. “Cuba has started to change in a fundamental way, in peoples’ hearts,” he said. Others attending Sunday’s Mass said the socialist revolution remains strong and isn’t going to suddenly fall apart anytime soon. “There will be no change. The changes that needed to be made have already been made, in 1959 when we had the revolution. Nothing else needs to be changed,” said Gustavo Garcia, 46, a factory worker who described himself as an atheist. Julio Carranza, a Cuban economist and policy analyst, said change has traditionally been slow in Cuba. “It’s insane to think that the pope’s visit will transform our country dramatically,” he said. “But it’s also insane to say his trip will have no impact. John Paul’s trip will plant new roots and make its mark. ” The faithful began streaming into La Plaza de la Revolucion early Sunday. At a nearby church, a priest handed out flags and booklets. Young men in black shirts stood in a circle not far from him. Cubans who walked by whispered that they were hired to keep an eye on the crowd. The platform from which the pope spoke was in front of the national library. Cubans – always quick to read every symbol for its political significance – noted that Mr. Castro had not placed the pope on the higher spot in front of a statue of Jose Marti where the Cuban president traditionally delivers his own speeches.